Kathleen Normington has performed on stage in Japan, Europe, and the US. An actress for over 30 years, her most recent appearance was in the Spartan Films feature film Always Learning. Locally she has appeared with Center Rep, Diablo Actors’ Ensemble, and many others. 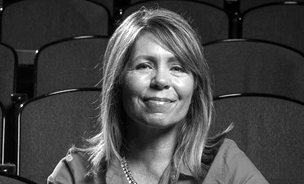 Kathleen has been a lecturer in the department of Film and Theatre at San Jose State University since 2002. She has developed new courses for the department in addition to teaching and directing. She teaches acting (Beginning and Advanced), Voice and Movement for the Actor, Contemporary Theatre, Theatre Appreciation and many other courses. She regularly directs for the department including Jane Austen’s Emma, Shakespeare’s Macbeth, A Midsummer Night’s Dream, and Twelfth Night, Mary Zimmerman’s The Secret in the Wings, Peter Brook’s revolutionary musical, Marat/Sade, Matthew Spangler’s adaption of John Cheever short stories, The Swimmer and Other Suburban Stories and many others. She has worked with scripts for children, directing an adaptation of The Witch of Blackbird Pond and a play she wrote and developed with her students based on Shakespeare’s contributions to the English language titled Words, Words, Words: Will’s Way for the SJSU touring company. 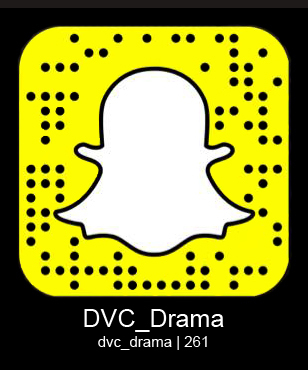 An adjunct here at DVC since 2014, Kathleen has taught Beginning Acting, Introduction to Theatre, Multicultural Theatre as well as Voice and Diction for the Communication Studies Department. She has directed The Taming of the Shrew (2015), Clybourne Park (2016) and Twelfth Night (2018) and served as the faculty advisor for Aaron Sorkin’s The Farnsworth Invention (2017) which was selected to be presented at the Kennedy Center American College Theater Festival regional festival. Kathleen’s directing debut (James McLure’s Laundry and Bourbon) for the AATG Theatre Company in The Haag, Netherlands was awarded the grand prize at the annual FEATS Theatre Festival in 1998. For Renegade Theatre Experiment Kathleen directed Neil LaBute’s The Shape of Things, Peter Sinn Nachtrieb’s Boom, Bill Cain’s 9 Circles and the World Premiere of Max Tachis’ Perishable, Keep Refrigerated and for the Dragon Theatre, An Adult Evening of Shel Silverstein. In 2017, she directed a short, original opera, Full Moon Bender for Opera Theatre Unlimited in San Francisco. Kathleen co-authored “Simply Acting: A Handbook for Students” and was honored by San Jose State University as the 2012/2013 Outstanding Lecturer. In Fall 2018, Kathleen was awarded a grant from the College of Humanities and Arts at San Jose State to write and create a documentary-style theatre performance based on interviews she has conducted with SJSU’s undocumented students. The Dreamer Project will be presented in early December 2018. Kathleen holds a B.A. in Dramatic Arts from The University of California, Berkeley and an M.A. in Theatre Arts from San Jose State. She also studied in Oxford, England in the British American Drama Academy’s Midsummer in Oxford intensive.